As far as prints go, stripes are a crowd favorite. And it's easy to see why: They're more interesting than solids but still a cinch to style, and depending on what kind you choose—chunky Where's Waldo stripes, skinny pinstripes, asymmetrical lines—they can look preppy, quirky, or businesslike. Striped dresses are particularly helpful this season, providing a one-and-done outfit you can pair with fall boots, black tights, sherpa-lined jackets, and more. Choose a sweaterdress for a comfy weekend look that's perfect for apple picking or Sunday brunch, then opt for a belted shirtdress for something a little more polished than jeans at the office (or, if you want to take a cue from street style stars, belting one of these over jeans is also a smart bet). Below, shop 20 striped dresses for every style and occasion. So comfy you'll never want to take it off. Meet your new favorite party dress. An LBD with a twist. Wear these with a pair of white boots. Not your average T-shirt dress. Monday morning outfit = sorted. Ideal for the gray days ahead. This has the chicest silhouette. Try this with a turtleneck underneath for fall. With a pair of brogues, this is perfect for work. You can't go wrong with a striped shirtdress. 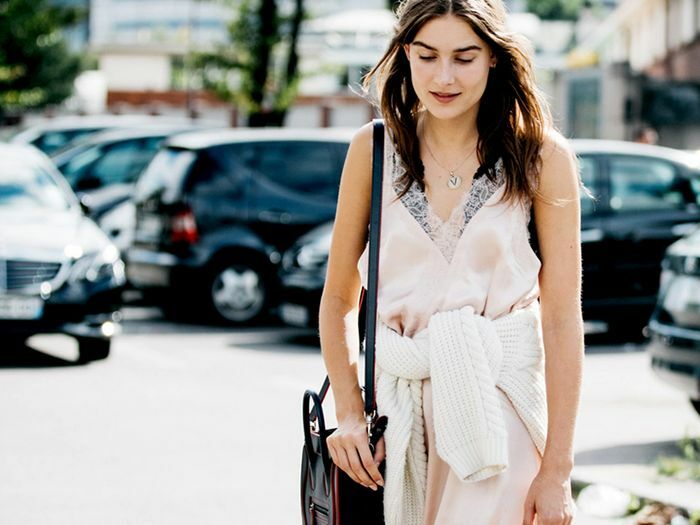 Wear this sheer dress over a jeans and a long-sleeve tee. You'll get so much wear out of this pinafore dress. Zigzag stripes keep things interesting. Wear this with sneakers or high-heel boots. Up next: Shop the prettiest blouses to wear this fall.